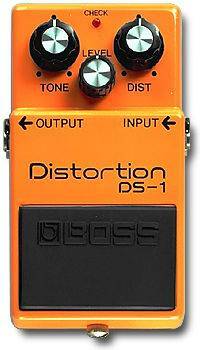 The trusty little orange Boss Distortion pedal has been around for a while. Boss started producing the DS-1 in 1978 and it’s been a core piece of every guitarists pedal board since. I bought my Made In Japan DS-1 when I first started playing the guitar and it’s still the first tool I reach for when I want to add some dirt. When I started modding pedals I was surprised that the new stock units sounded so different from my old vintage DS-1 so I looked at the circuit and did some research. Around 1995 Boss moved production of their compact pedals from Japan to Taiwan and changed some of the circuits at the same time. Now Made In Japan Boss pedals sell for a lot more than the Made In Taiwan counterparts. With the DS-1 Boss made a number of further changes to the circuit over the years, some of them made a difference, some of them didn’t. The Dexter Mod DS-1 MIJ mod addresses the component changes that DO make a difference and successfully recreate the vintage MIJ DS-1 tone in a your Made In Taiwan DS-1 pedal. While you can still obtain the sort after Made In Japan DS-1 for the kind of money the sell for this mod is aimed at getting the same vintage DS-1 tone with a newer pedal. Recorded with a Fender 62 Relic Strat neck pick up, Orange Rocker Tube Combo amp on clean channel. The pedal comes with a brand new 9 volt battery and a bright yellow LED.